+ Tourism Industry and Hospitality Management. 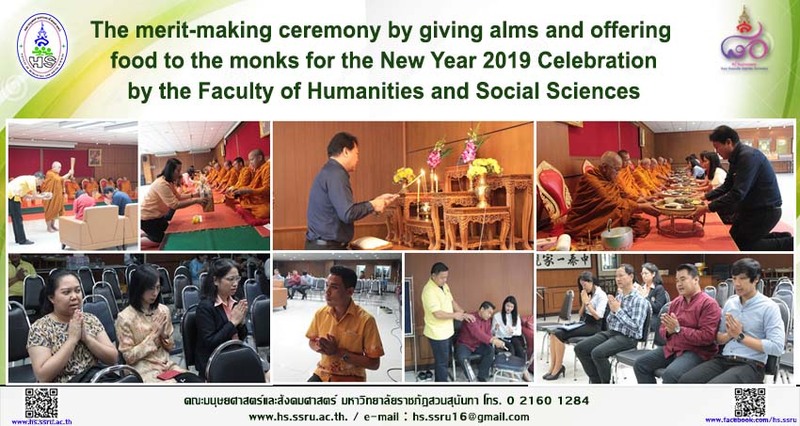 On January 11, 2019, Faculty of Humanities and Social Sciences held a merit-making ceremony by offering food to 9 monks on the occasion of the New Year. Asst. Prof. Dr. Niphonsasitorn Saowapa, the dean, together with personnel participated in the ceremony at the Niphanaphadon Room, Faculty of Humanities and Social Sciences.